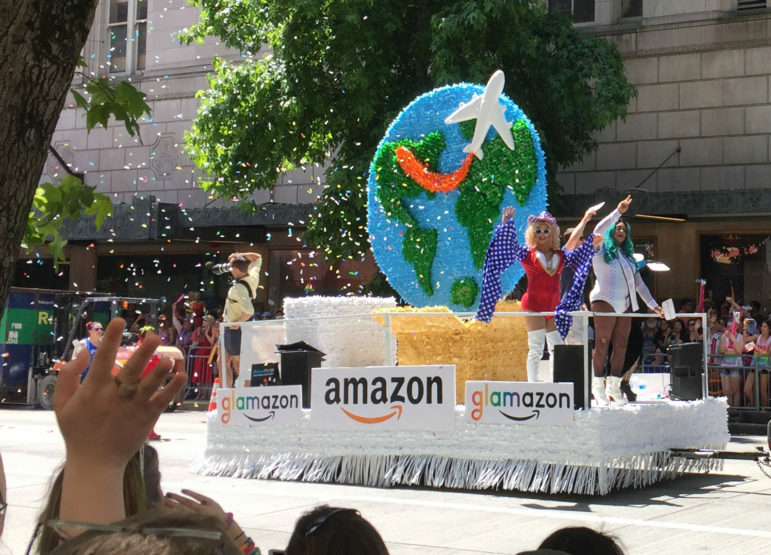 Amazon's float at 2017's Seattle Pride Parade. Since the November announcement about Amazon picking Long Island City as one of the locations for itas second headquarters, some elected officials, housing advocates, unions, area residents and community leaders have been in an uproar at the lack of transparency around the deal, the large subsidies Amazon will receive from the city and state and the potential impact of the deal on the city’s housing affordability crisis. Those skeptics have soulmates in the tech giant’s home city, Seattle. There, some residents, advocates and community leaders have been protesting the lack of transparency from big corporations that receive large tax incentives–the 2013 deal with Boeing was estimated to be worth almost $9 billion–and the dissonance between the wealth of corporate citizens and the growing homeless problem on Seattle’s streets. By 2017 the housing issue in Seattle had turned into a crisis, with over 12,000 homeless individuals, most of whom lived unsheltered, according to the nonprofit Count Us In. Like New York, Seattle has several programs in place to address the housing crisis, like an initiative to build affordable housing, a low-income homeowners program, rental assistance and a mandatory inclusionary zoning provision that requires new developments to contain income-targeted units. But for Seattle Councilmember Kshama Sawant, who ran on the Socialist Alternative party line and won in 2013, those programs were not enough. She and others felt big corporations receiving large tax incentives could do more in Seattle. In 2006, Seattle implemented an employee hours tax, under which a business was required to pay a quarterly tax based on total employee hours worked within the city. The tax was repealed in 2008 during the recession. This year, the City Council decided to revive the employee hours tax (also called the “head tax” but more popularly known as the “Amazon tax”) to address the housing crisis. The new legislation proposed the tax would be levied on businesses that have at least $20 million in annual taxable gross revenue. For those companies, the proposed tax applied to all of its Seattle employees at a rate of 26 cents per hour for 2019 and 2020, with the annual bill per employee capped at $275 per employee. The tax revenue would have gone towards building affordable housing and providing services for the homeless. In May, Seattle’s nine-member City Council unanimously passed the head tax legislation and it was signed into law. Less than a month later, the head tax legislation was repealed by a 7-2 vote after several businesses and corporations launched the “No Tax on Jobs” campaign throughout the city. Campaign leader Saul Spady, a local Seattle businessman, said the city government needed better policies to address homelessness. Part of the repeal push was an announcement by Amazon that the company would halt construction on an expansion that would have lead to an estimated 7,000 jobs, according to the Seattle Times. Another CityLab article, revealed that the campaign to repeal was largely funded by big corporations such as Starbucks and Amazon. 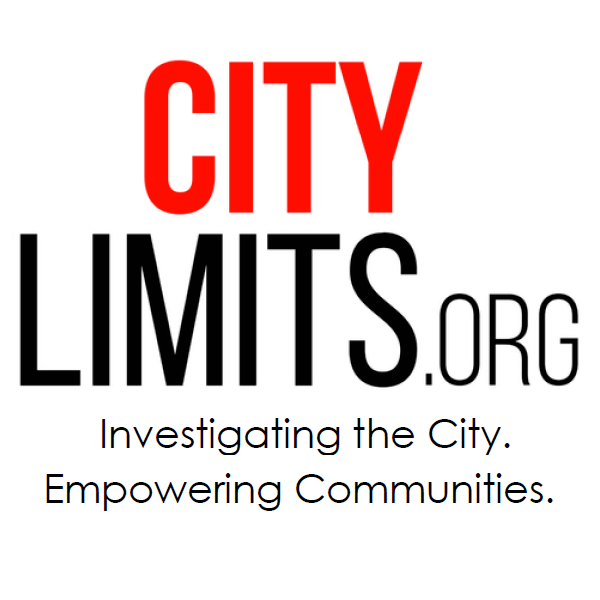 City Limits reached out to Amazon for a comment for this article but the firm has declined to answer. The “completely shameful” repeal caused even more anger among some Seattle citizens, according to Sawant. It also spurred a lawsuit (see below). Three Seattle attorneys filed the case in June against the City of Seattle, alleging the City Council and the mayor violated the Open Public Meetings Act when they a repealed the head tax by organizing a last-minute special meeting with only seven City Council members, according to Seattle court records. The lawyer behind the suit does not support the head tax but thought the process that led to appeal was inappropriate. Sawant acknowledges that Amazon and its founder Jeff Bezos did not create the housing crisis in Seattle but argues he was not an “innocent bystander” and a key part of a system that allows big corporations to drive policy–a case in point being the fact Bezos and his company managed to get politicians from 238 cities to compete for HQ2. The next Amazon headquarters we split between Long Island City and a suburb of Arlington, Va. Many of New York’s elected officials, including the de Blasio and Cuomo administrations, have welcomed the deal. A week before the company announced its picks. Governor Andrew Cuomo said he would change his name to “Amazon Cuomo” if that is what it took to bring the deal to New York during a press event. Cuomo did not have to revise his birth certificate. But he did have to sign off on $1.7 billion in discretionary subsidies, to go with $1.2 billion Amazon will get as-of-right from New York City, and to agree with Mayor de Blasio to bypass the city’s land-use approval process for handing over city land and changing zoning to permit the headquarters project. On Tuesday, the Retail, Wholesale and Department Store Union released a report on how Amazon practiced “…anti-union, anti-worker, and anti-brick and mortar activities…” and does not support its move to Queens. Afridi said Queens had less rental stock compared to other parts of the city and the biggest concern has been increased speculation will lead to increased tenant harassment. Another concern from a local perspective how the local neighborhoods will benefit from Amazon’s move into Long Island City—an area that has been gentrified, “There is not a lot of money or [public] services coming into community as it is right now,” said Maritza Silva-Farrell, the Executive Director at ALIGN. Under the deal, there is no guarantee that Amazon will hire current residents. According to Afridi, Seattle saw an influx of well-paid tech employees who could afford luxury homing come in from other parts of the country to work at Amazon—driving up market prices and pushing out Seattle residents. Lerner says the Cuomo and de Blasio administrations have not put careful thought into the impact Amazon will have on housing in Long Island City and its neighboring area and the impact it will have on the adjacent Queensbridge Houses, the largest public housing complex in the country. He says opponents are hoping the the Public Authorities Control Board (PACB), which must approve part of the state financing, might stop the deal. It is made up of five members appointed by the governor and one from the majority party in each legislative house and must vote unanimously to approve a project. The City Council announced Thursday that will has planned three hearings in the coming months to discuss the details behind the Amazon deal. The first hearing is scheduled for Dec. 12 at City Hall and will be held by the Council’s Economic Development Committee to examine the development of the Amazon deal. The second hearing is tentatively scheduled for January and will be held by the Council’s Finance Committee which will examine if the Amazon deal benefits the city and New Yorkers. The third hearing is slated for February and will be held by the Council’s Land Use Committee to assess the impact Amazon’s move will have on Long Island City and neighboring communities. In Seattle, last week a Seattle Superior Judge said the lawsuit over the head-tax vote would proceed after the court demanded records that revealed texts and calls between the eight Council members about the closed meeting. But the judge also said the lawsuit itself cannot reverse the repeal, according to the Seattle Times. Sawant does see a silver lining in 2019: Seven City Council seats are up for election, including hers. The big question for Sawant is who controls Seattle as the political landscape changes across the country. She said young voters are more energized and angry—she expects the housing issue to come up during the elections next year.